Bhairahawa remains an important trade and transport hub full of industries and business center. The roads and the area might be dusty, often bustling with vehicles. However, to occupy yourself in the serene environment, Lumbini is just a few kilometers away. Bhairahawa is the administrative headquarter of Rupandehi District of Nepal. It is under the administration of Siddharthanagar municipality. As Siddhartha Gautama Buddha (Shakyamuni Buddha) was born here, it is also known as Siddharthanagar. Bhairahawa is one of the major trading cities of Nepal and the second largest trading area after Birgunj. It is connected with several cities, as it is a popular trading hub of the country. It has a major impact on the economic aspects of Nepal as it is a major industrial house. There are various small and large scale industries in its periphery. There is a particular special economic zone (SEZ) in the area. SEZ is an area in which business and trade laws are different from the rest of the country. Bhairahawa SEZ is designed to increase trade between Nepal and India. Government of Nepal has been encouraging different industries to establish their plants in the SEZ. From Bhairahawa's Siddhartha Highway you can conveniently connect to other places. The highway extends south to the Indian border at Sunauli and north to Butwal. Furthermore, Butwal city is just 21 km from Bhairahawa. Bhairahawa is the gateway to Lumbini. 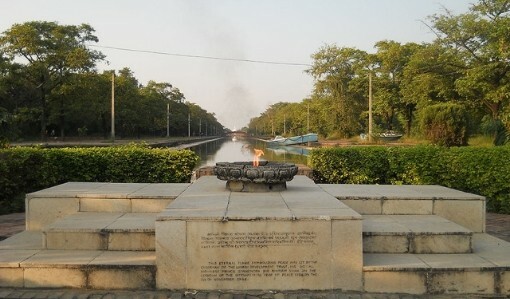 Lumbini is an important Buddhist pilgrimage site, that is evidenced by its inclusion in the UNESCO World Heritage Site. It is the birthplace of Gautama Buddha also known as Shakyamuni Buddha or simply Buddha. His enlightening teachings attract a large number of pilgrims to visit Lumnini and other sacred Buddhist sites like the World Peace Pagoda (Shanti Stupa) of Pokhara and the Swayambhunath and Boudhanath Stupas of Kathmandu. A 3 day visit is recommended to fully immerse in this exclusive microcosm of world Buddhist heritage. The birthplace of Gautama Buddha has been listed as one of the best Asian destinations to visit in 2018, by Lonely Planet’s 2018 ‘Best in Asia’ list. 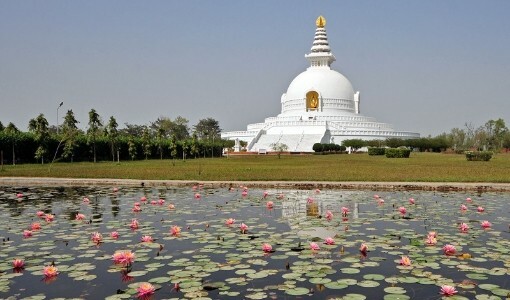 Lumbini successfully procured the 7th position among the top 10 destinations of the world. Maya Devi Temple is the main temple at Lumbini. This site is traditionally considered the birthplace of Gautama Buddha. A sacred pool (known as Puskarni) and a sacred garden is next to the temple. It is believed that Maya Devi bathed in this sacred pool before giving birth to the Lord Buddha. Right around the corner, towards the west elevation of the Maya Devi temple lies the famed Ashoka Pillar. In the periphery of Lumbini, there are several Buddhist monasteries built by different Buddhist nations. Do not miss the opportunity to explore sites such as Great Drigung Kagyud Lotus Stupa, Bodhi Tree, Eternal Peace Flame, Burmese Lokamani Cula Pagoda, Chinese Maitreya Temple and many more. Lumbini Museum and World Peace Pagoda are other places to know much more about Buddhism. The white World Peace Pagoda is constructed by Japanese Buddhists. It consists of shining golden statue of Lord Buddha. One of the best things about travelling to a place is to try its local street food. There are various street vendors and roadside restaurants that serve a mix of Nepali and Indian dishes. As it is located near the border of India, you will find a eclectic fusion of Indian food in dishes like Tiki chat, Panipuri, Momos, etc. Awadhi cuisine is famous and a must try out cuisine in Bhairahawa. You can try varieties of sweets at Bhairahawa because they have got some different mouth watering blend in it. Butwal is about 32 kilometres from Bhairahawa and is located where Mahendra Highway and Siddhartha Highway intersect with each other. A crowded Terai region lying on the banks of the Tilottama River is an important trade centre and has the second largest vegetable market in the country. Butwal has a clean environment and is equipped with well maintained education and healthcare facilities. Grab the wonderful opportunity to get acquainted with the beauty of Butwal. Tansen should be your next destination if you want to observe hill towns, historical and religious sites of Nepal. 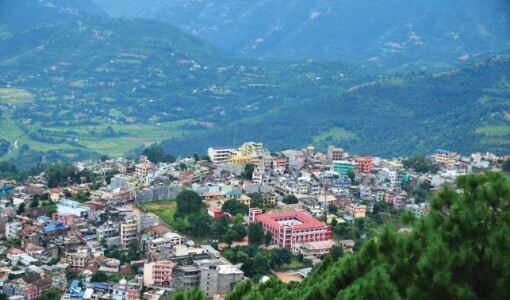 It is located between Butwal and Pokhara and lies in Palpa district. Major attractions include Tansen Durbar, Rani Mahal, Shreenagar, White Lake View, Symbolic Gate (Muldhoka), Bhagwati Temple, Bhairav Temple, Rishikeshv Temple and Dumre Khola. Apart from sightseeing, check some of the shops in Tansen Bazaar. You will get some lovely items such as Dhaka clothes and accessories and Karuwa (a traditional Nepali drinking pot). Close by Lumbini lies many other venerated pilgrimage sites and wildlife sanctuaries. Ramagram lies 20 kilometres east from Bhairahawa. This was the birthplace of Maya Devi (mother of Lord Buddha). Rest assured, Ramagram Stupa still contains the artifacts associated with Lord Buddha. Similarly, Devdaha is 15 km to the east of the city. The place is known to be the home of Queen Mayadevi and it is believed that Buddha used to visit here often in his childhood. You can visit Kanyamai temple, Pakari tree (belived to biggest tree in Nepal, with a circumference of over 150 metres), Bhawanipur, Devdaha park, Saran Bari Village and many more. About 29km west of Lumbini lies Tilaurakot in Kapilavastu district. If you are in Taulihawa, Tilaurakot can be easily visited as it is just 3 km away from Taulihawa. It is an ancient kingdom of Shakyas where many stupas and archaeological sites are scattered. Siddhartha Gautama spent 29 years of his life before leaving it behind on his path for enlightenment. You can still see remnants of the kingdom and a museum nearby that displays various artifacts. Other places around Taulihawa and Tilaurakot are Gotihawa, Araurakot, Kundan etc. which reveals much more about the life of Lord Buddha. Triveni lies in south western region of Chitwan. It is the junction of 3 rivers (Narayani, Sona and Tamosa Rivers). Pilgrims frequent this river to take a bath as the confluence of the three rivers makes the water holy. Moreover, in the month of Margh (November - December), a huge fair is held on the occasion of Maghe Sankranti. Sunauli, 3 kilometres south of Bhairahawa is the second largest border between Nepal and India. It is a popular route for travelers visiting India and Nepal. Travelers from Varanasi or Delhi come through this route to travel to Lumbini, Pokhara Kathmandu and other cities of Nepal. Traveling from Sunauli, you can reach Gorakpur. Gorakhpur Railway Station is an important station as it serves the North Eastern zone of the Indian Railways. The nearest location from Gorakhpur is Lucknow, capital of state Uttar Pradesh. If you want more to explore in Nepal, visit Kathmandu, Biratnagar, Birgunj, Nepalgunj and Pokhara. They can be easily accessed from Bhairahawa. 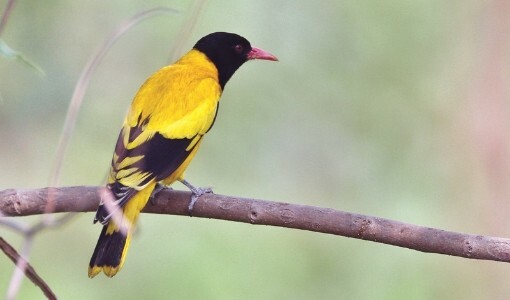 Rupandehi District is home to a number of species of birds and it could surely be fun to watch them flying around. The large trees are used by roosting vultures and large water birds. A vulture safe zone (VSZ) is located at Gadiahwa Lake, near Lumbini. It is home to other birds like crane, lesser adjutant stork and other water birds, reptiles like tortoise and mammals like blue bull. Jagdishpur Reservoir is another important bird area in nearby Kapilvastu District about 40 km north-west of Lumbini. You can discover a lot travelling around Bhairahawa and Lumbini. There are guides available to make your journey more easier or use your own vehicles to roam the city. Motor biking or cycling can be the fun way to explore. At Lumbini, the south of the Maya Devi temple is always occupied by monks in colored robes, reciting the daily prayers or meditating in peace amongst the many ruins that have been discovered in the past decades. You can always try learning meditation and get universal teachings of Lord Buddha. Chitwan National Park is just 3 hours drive from Bhairahawa. It is the first national park of Nepal with a wide species of flora and faunas. It is the best place to carry out activities like boating, feeding birds and animals, watching sunrise and sunset from the Rapti River, etc. Jungle safari is the top thing to do in Chitwan National Park. It can be done through jeep safaris, elephant safaris or a simple guided or unguided jungle walks. As Bhairahawa is located near the Indian border, you can find more people speaking Hindi. Other people speak Nepali, and the respective ethnic groups speak their mother tongue. There are three major religions followed in Bhairahawa, which are Hinduism, Buddhism and Christianity. As the founder of Buddhism, Lord Buddha was born in Lumbini, Buddha Jayanti or Buddha Purnima is a major festival that is celebrated here. This festival celebrates the birth, enlightenment and death of Lord Buddha. Buddha Jayanti is celebrated with various processions and programs in Lumbini. Maya Devi Temple is also beautifully decorated on this day. A chariot is moved around Lumbini with Lord Buddha’s idol in it. Thousands of people gather there, sing songs and chant prayers. 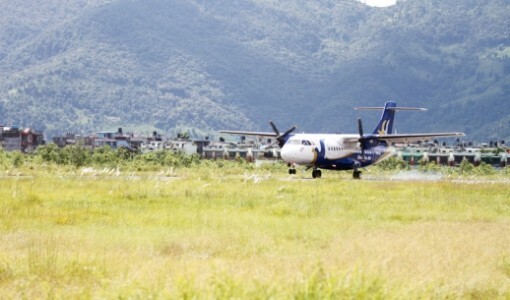 Buddha Air has daily flights from Bhairahawa to Kathmandu and Bhairahawa to Pokhara. The duration of flight from Bhairahawa to Kathmandu is around 35 minutes and Bhairahawa to Pokhara is around 20 minutes. Gautama Buddha Airport is the sole domestic airport of Bhairahawa. A trip to Bhairahawa is unlike any other you will experience in Nepal. An unforgettable spiritual tour that will soak you up in the peaceful atmosphere are memories you will cherish.